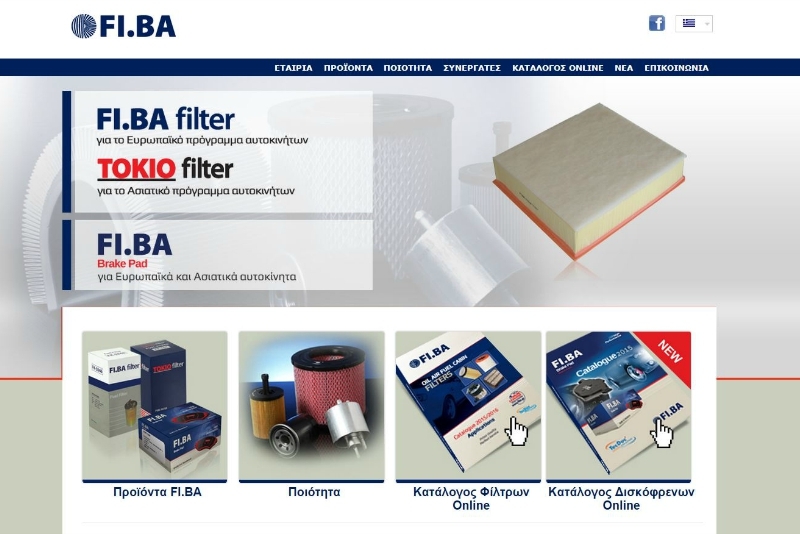 FI.BA filters is a renowned company based in Northern Greece which after a rising and continuously evolving direction, it is classified today as a leader company in the field of car and machines’ filters as much in Greece as the rest of the world. 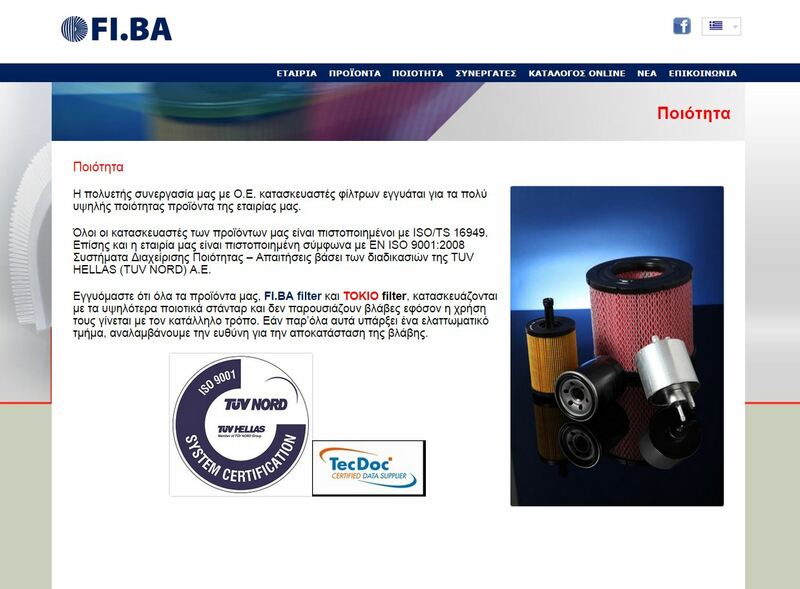 A 5-lingual (!!) 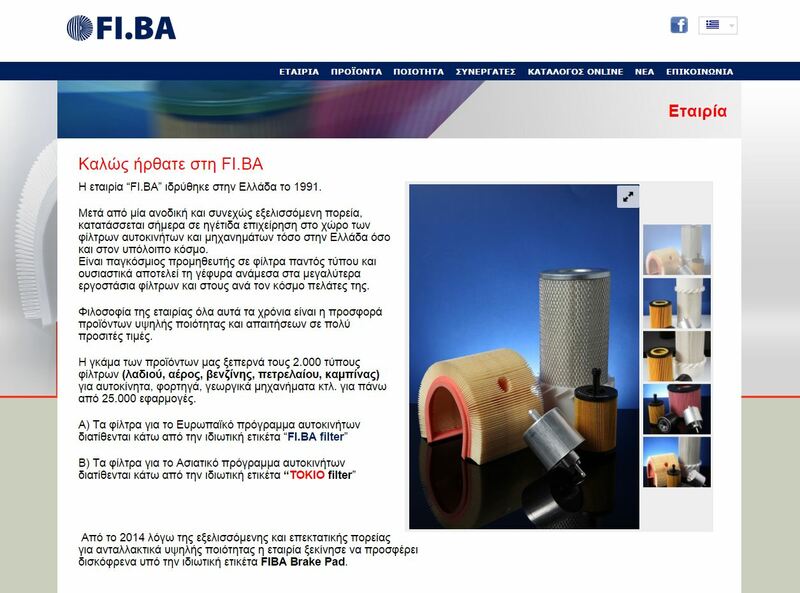 website that integrates with a huge product catalogue, provides its clients with lots of information for its products’ list.